OCEAN CITY, Md. -- Police say the body of a 30-year-old Texas woman was found buried on a Maryland beach with just an arm above the sand. 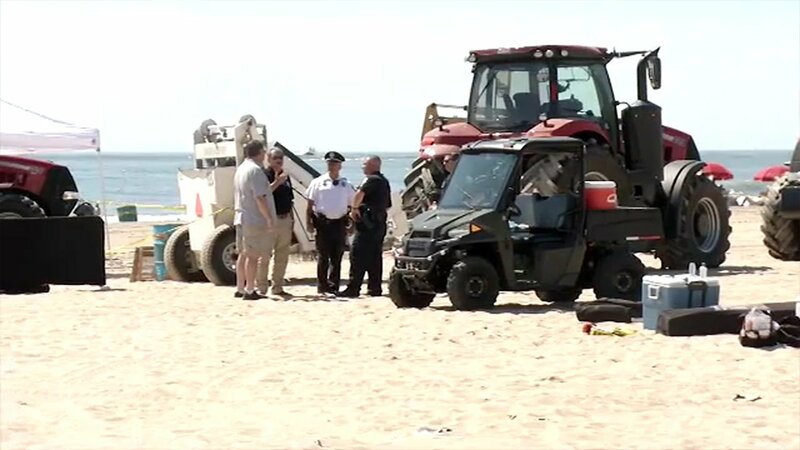 Ocean City police were notified about the body Monday morning after beachgoers discovered it in a hole in the sand. Officials identified the woman as Ashley O'Connor of Plano, Texas. Ocean City police spokeswoman Lindsay Richard said by phone Tuesday that only an arm was visible above the sand. She says the Office of the Chief Medical Examiner will determine a cause and manner of death. Town spokeswoman Jessica Waters says O'Connor got separated from her family about 2 a.m. She says her death appears to be accidental, although nothing has been ruled out.